The Supreme Court on Thursday approved the Cauvery Water Management Scheme, 2018 framed under Section 6A of the Inter-State River Water Disputes Act of 1956 by the Central government for the establishment of the Cauvery Management Board and the Regulation Committee, in pursuance of the court’s February 16 verdict. The apex court had on February 16 required the Centre to put in place the scheme within 6 weeks for smooth implementation of the award passed by the tribunal and as modified by this court for carrying out the rights of the states with regard to allocation or sharing of water. The Central government with a view to arrive at a consensus for framing of the proposed scheme, initiated consultations with the party states of Karnataka, Tamil Nadu, Kerala and the UT of Pudducherry. The first meeting for that purpose was convened on 9th March in which the modalities of the scheme, including the composition of the authority, were discussed. The party states then submitted responses and in view of the divergent views expressed by the party states/UT, it was felt that if the scheme was to be framed by the Central government itself, states may again approach this court. To avoid further litigations by the states in respect of composition and functions of the proposed board, the Central government felt it necessary to file a clarification application on 31st March. On account of the failure of the government to accomplish the same, Tamil Nadu had approached the court by way of a contempt petition. Attorney General KK Venugopal had sought clarification regarding the nomenclature of the entity to be constituted under the Scheme for the implementation thereof. Senior counsel Shekhar Naphade, appearing on behalf of Tamil Nadu, had suggested that the body be called the Cauvery Management Board. The authority shall be a body corporate with perpetual succession and a common seal. The authority shall comprise of a chairman, who may be a senior and eminent engineer or an IAS officer of the rank of Secretary or Additional Secretary to the Government of India; two fulltime members, being engineers not below the rank of Chief Engineer from the Central Water Engineering Services and of Commissioner from the Ministry of Agriculture & Farmers’ Welfare; two part time members, to be nominated by Ministry of Water Resources, River Development & Ganga Rejuvenation and Ministry of Agriculture and Farmers’ Welfare, respectively; and four part time members to be nominated by the states of Karnataka, Tamil Nadu, Kerala and the UT of Pudducherry. Naphade had sought to recommend that the chairman of the authority be an independent person, such as an retired judge. The scheme provides that all expenses of the authority (including salary and other expenses of the chairman and independent members) shall be borne by the state governments, in the ratio of Kerala – 15%, Karnataka – 40%, Tamil Nadu – 40%, and Union Territory of Pondicherry – 5%. When senior counsel Jaideep Gupta had objected to assignment of 15% cost to Kerala, in view of the state being entitled to only 4% of the water, senior advocate Rakesh Dwivedi, also representing Tamil Nadu, had advanced that the cost distribution is in compliance with the report of the Cauvery Water Disputes Tribunal. (i) Storage, apportionment, regulation and control of Cauvery waters. (ii) Supervision of operation of reservoirs and with regulation of water releases therefrom with the assistance of Regulation Committee. 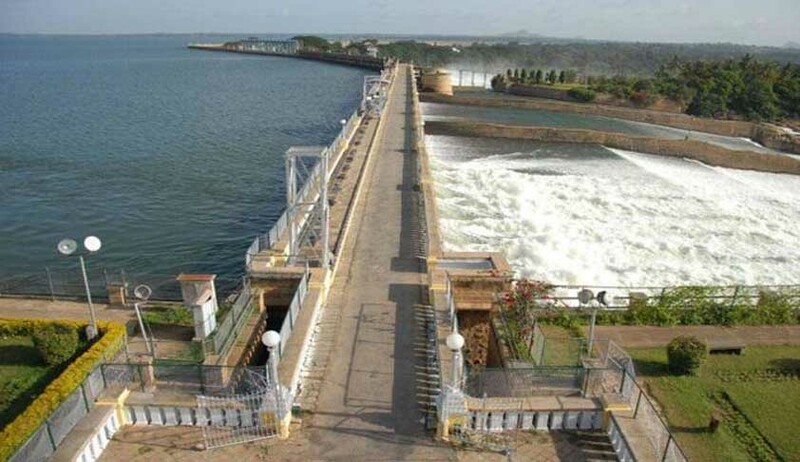 (iii) Regulated release by Karnataka at the inter-state contact point presently identified as Billigundulu gauge and discharge station, located on the common border of Karnataka and Tamil Nadu. Gupta, for Kerala, sought to challenge the powers, functions and duties of the authority, contending, “The reservoirs are state property...this interferes with the power of the state under Entry 17 (of the State List)”. Senior counsel Shyam Divan, representing the state of Karnataka, had also reiterated the concern. Further, the scheme envisages that the authority would, at the beginning of each water year, i.e., June 1, determine the total residual storage in the specified reservoirs; that the authority shall ensure the implementation of the award of the CWDT modified by the Supreme Court order dated February 16, including the carryover storage during a good year and the water releases for environmental purposes; and that, at the start of irrigation season every year i.e., June 1, all the party states shall submit an indent for the supplies required by them at each reservoir site (capacity 3 TMC and above) for June broken into 10 daily intervals. Finally, the scheme, as modified by the Centre in accordance with the suggestions of the states, contemplates that if the authority finds that the government of any party state does not co-operate, it can seek the help of the Central government, and that the authority shall comply with directions with respect to its composition, establishment and administration that the Central government may provide time to time. “The help of the Central government in implementing the scheme may be sought, but it may not be stated that the decision of the government shall be final...the Central government can frame the scheme but not enforce it...”, the Chief Justice had noted in respect of the earlier provision. “The directions may only relate to the composition of the authority...do not make it too broad,” the Chief Justice had stated. The scheme stipulates that the decision of the authority on all matters for the purposes of implementing the award of the tribunal as modified by the Supreme Court order dated February 16 shall be final and binding on all the party States/UT. The scheme, as approved by the court, provides for the headquarters of the authority to be in New Delhi, in accordance with the suggestion of the states. Earlier, the head office was to be in Bangalore. The functions of the committee, headquartered in Bangalore, include inter alia to collect daily water levels, inflows and storage position at each reservoirs, to ensure 10 daily releases of water on monthly basis from the reservoirs as directed by the authority, and to prepare periodical water accounts.